There are tonnes of Launchers available for Android devices in Google Play but Go Launcher Themes are the best so far. Moreover, only a few of those launchers seem to be promising and delivers what it exactly claims. It would take hell lot of time for you to search for the best launcher for your Android device. Launchers like Nova, Smart Launcher are quite popular and works very well on almost any device. However, Go Launcher is the only one which tops the list of best launchers. The reason why Go Launcher tops the list is that of its uniqueness and flexibility of options. 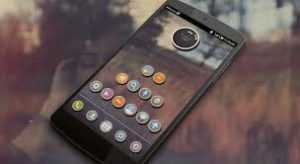 If you are looking for the best Go launcher themes, then you’ve come to the right place. 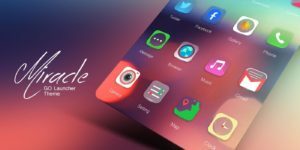 Today, in this article, I’m going to share some of the Best Go Launcher Icon Packs and themes for your Android devices. These Themes and Icon Packs will change the default look of your Android devices completely. You may replace the default app icons with attractive Icon packs of Go Launcher. Enjoy unlimited customizations to your Android device from Widgets, Fonts, and attractive lock screen apps, etc. Guys, you need to install themes to use the icon packs on your Android device. Go ahead and have a great time customizing your smartphones. Miracle Go Launcher is our first pick on this list. 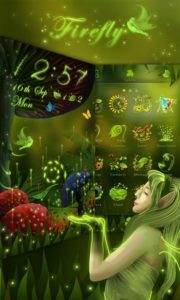 This theme makes complete makeover to your device’s look. As you already know, it’s completely free to download and use. You don’t have to pay anything, and you can use on as many devices as you want. Miracle Go Launcher theme provides beautiful and nice looking high-quality wallpapers and cool icons for apps. Miracle Go Launcher theme is completely worth trying out, and it deserves to be in the first place. If you are looking for something totally different and unique theme, then here’s a perfect one for you. 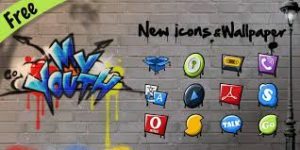 The My Youth Go Launcher is a modern type of theme and comes pretty solid features and options. My Youth offers a decent amount of customization tools and features excellent icon packs. The interface of My Youth Go Launcher is another plus point here; it’s quite smooth and great looking. You shouldn’t be skipping out this one; it’s a must try app for every go launcher user. 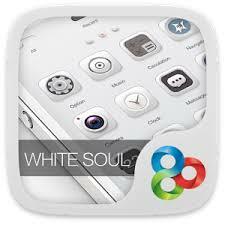 White Soul Go Launcher Theme is another popular name in the category of best Go launcher themes. It comes with a clean and white background interface which looks pretty amazing. However, you need to tweak some of the settings in order to make it look interesting. The best part about White Soul Go Launcher theme is that it comes with tons of wallpapers and folder options. White Soul Go Launcher is a promising and elegant theme and has a great potential to be the best go launcher. 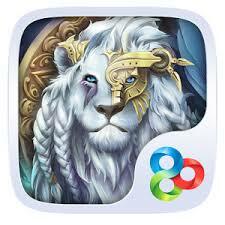 Lion Go Launcher Theme is a fantasy type of theme and has gained quite a lot of popularity in Google Play Store. It comes with delicate app icons and offers extreme customization for Android devices. The App Drawer is also quite good and works pretty smooth as it should be. Lion Go Launcher Theme is one of the best themes which you should definitely check out. Lion Go Launcher Theme is very much polished and the optimizations are way too impressive. As the name suggests, the theme is really dark, LOL! Dark Zero is known for it’s a different style and looks. The developers have done a lot of improvement and optimized to make it as smooth as possible on almost any Android device. The theme is free for download. However, it comes with in-app purchase in order to unlock the premium stuff in theme. Background colors and wallpapers are quite dark but clean and simple. 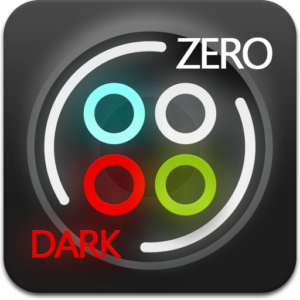 Dark Zero Go Launcher Theme is also lightweight, and almost any Android can run it without any issues. Well, most of you might have come across the neon styled themes. 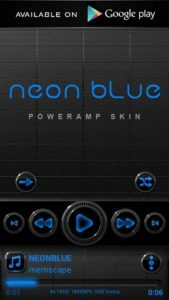 Neon Blu Go Launcher theme is a perfect choice for go launcher users. The theme looks really different and looks like glowing in the dark. The best thing about Neon Blu, it comes with quite a little number of micro transactions. It’s not like pay to use or pay to share. It’s completely free to download and can be shared without any issues. Pale Go Launcher Theme is classic and cartoony styled go launcher theme. It features advanced options which you can use to edit the interface of your device. The developers have also taken a few IOS based features and added it in the theme. The pale theme has received a rating of 4 stars out of 5 stars in Google Play Store. Talking about the UI of the theme, it’s pretty impressive and smooth. If you are looking for a mystery style based theme then Firefly is the way to go. Firefly Go Launcher theme is new and well-developed theme Go launcher users. The flies keeps flashing here and there on the screen whenever you touch it. The animations and transitions are really impressive and worth appreciating, The developers have put a lot of hard work into the theme to make it a master piece. However, the theme is bit bulky and completely worthy enough to mention on this list. 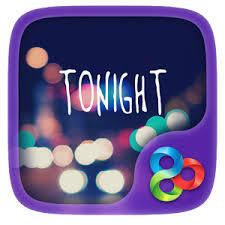 Tonight Go Launcher Theme is colorfully designed theme for Go Launcher. Colorfulness is the main highlight of this theme which makes it look completely different and glossy. The combinations of colors in the theme is pretty rocking and effective as well. The theme comes with only two wallpapers to select. However, it features tons of colors and app icons. It definitely deserves a spot on this list of best go launcher themes. Shadow theme is one of the largest themes in the Google Play Store. It comes with tons of different styled Go Launcher icon packs. The Shadow theme features a quick action functionality which is pretty solid and also quite rare. The developers of this theme are quite active in adding features and fixing glitches. As of now, you can use the theme freely without paying anything. The developers may make it a paid app as soon as they are with its development. No more old appearance and default home screen for your Android smartphones. Make way for customizing your Android device the way you want using the best launchers, themes, and icon packs. Check out the most awesome themes and icon packs of go launcher provided in the article.